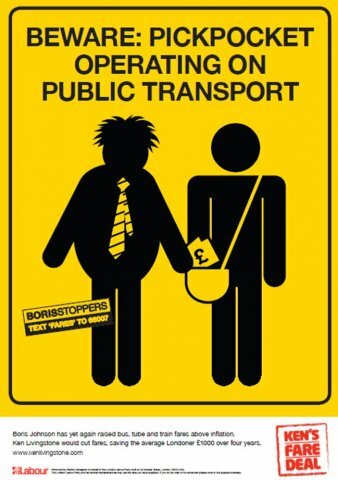 Ken Livingstone’s team have announced that they will be running a full page advert in today’s Evening Standard featuring Boris Johnson pickpocketing a passenger. 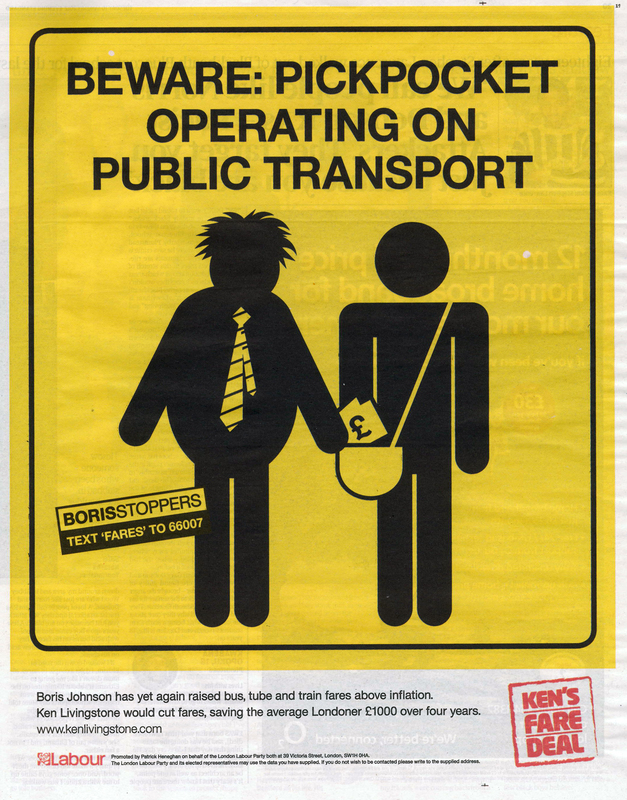 It includes a call to action to text ‘BorisStoppers’ (a reference to charity ‘CrimeStoppers’) and makes the pledge that Ken Livingstone’s fare policy would save the average Londoner £1000 over 4 years. The advertising, which will also have an online component, aims to make public transport users aware of its rising cost since Boris came to power in 2008. It’s a strong piece of copy. It’s simple, funny and relevant to the media context in which people will be viewing it. The attempt to harvest mobile phone numbers is subtly done. The line of attack will certainly be salient and, despite being a negative ad, the tone is light-hearted due to the art directional gag.